Find the best safari lodges in Zambia: From luxurious private island hideaway to the best lodges in acclaimed national parks. We tracked down the best locations for wildlife watching, the most skilled safari guides, unique tented camps with top-notch service and delicious meals, and once-in-a-lifetime safari experiences. 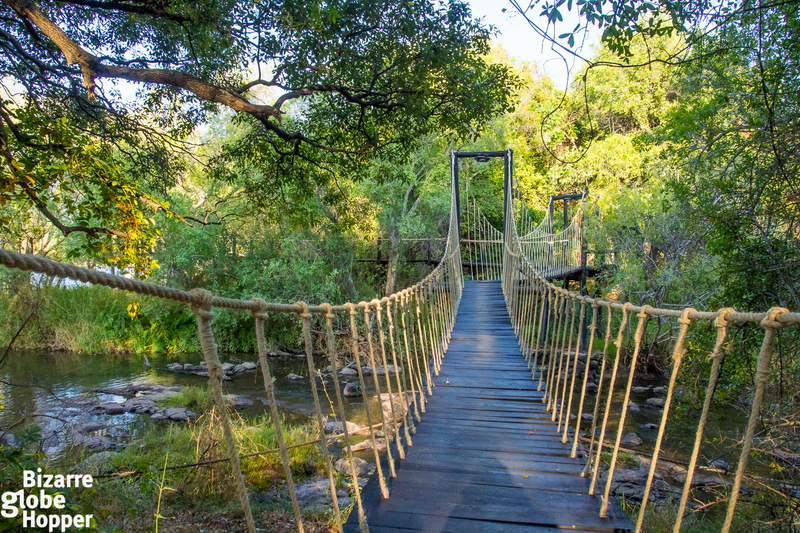 Check out our picks for the best safari lodges to smell out the hidden gems of Zambia! How to Find the Best Safari Lodges in Zambia? When you’re searching for the best safari lodges in any African country, there are many factors to consider. In some safari destinations, you have to make compromises and emphasize the location and wildlife watching opportunities over the facilities, or praised and highly trained safari guides over the general level of service and atmosphere. Of course, you must define the factors that make your own safari experience the best ever. Luckily, in Zambia, you can get it all. The safari lodges listed below showcase all these traits. They have the best possible location in the national park for finding good wildlife sightings every day and their guides are among the best in the industry. They are sustainable and reputable; luxurious but unpretentious. Some of them are still not very well known, which make them true hidden gems. 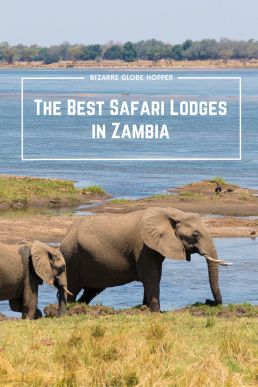 Read on to find your favorite lodges in Zambia! Check the lodges reviews in TripAdvisor and Booking.com (if available). When comparing lodges, check what the price includes.  Do they offer private game drives and guides? If the game drives are in shared vehicles, does everybody have a window seat? How many persons are they taking in one car? Usually morning and evening game drives are included in the price, but do they offer also walking safaris and other activities, free of charge? What is said about the guides and their training? What about the meals and chefs? Does the room have its own plunge pool? Private veranda? How is the swimming pool area? Is there enough privacy: How close is the next tent or villa? Consider which are the most important factors for you and be sure that the lodge meets your expectations. Location is extremely important, so know what you’re getting. Is the lodge inside national park for quick and easy access to wildlife sightings (so that you won’t lose time on transit during early morning game drives)? What is said about the immediate surroundings of the lodge: Is it tranquil or clustered with other lodges? Is the lodge fenced or unfenced allowing wildlife to walk through the property? Do you generally have to drive far to find wildlife? Check Google Maps for the actual location of the lodge to get a better understanding of the surrounding area. Read about the national park and get to know the best areas for wildlife watching (of course, this varies, but usually some areas are better than others due to the vegetation and other conditions). Ask the right questions. If you didn’t find enough information on the lodge’s website and reviews, bring up all the questions that you might have. Changing a couple of emails with the lodge can sometimes also tell about their service level. Please feel free to ask us about the listed lodges. Welcome to the ultimate safari bliss! If you are planning just one splurge, Royal Zambezi Lodge is your choice. Soak in ”the Royal Experience” from the moment you wake up in your luxurious chalet, witness elephants marching by the shore of Zambezi, enjoy 5-star gourmet meals under starry skies, and fall under the spell of Lower Zambezi National Park during unequaled private safaris. What Makes Royal Zambezi the Best Safari Lodge in Zambia? 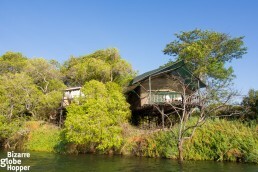 Roayal Zambezi would be my personal choice for Zambia’s best safari lodge. Why am I so fond of this riverside luxury lodge? 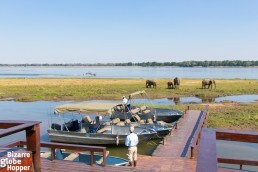 Royal Zambezi combines untamed nature with the utmost luxury. Elephants pound along the property making every moment exciting. Special treats include private plunge pools and verandas with panoramic views to the Zambezi River with an abundance of elephants, warthogs, hippos, birds, and other wildlife; outdoor showers and free-standing copper baths; and stylish interior design without any sense of ostentation. 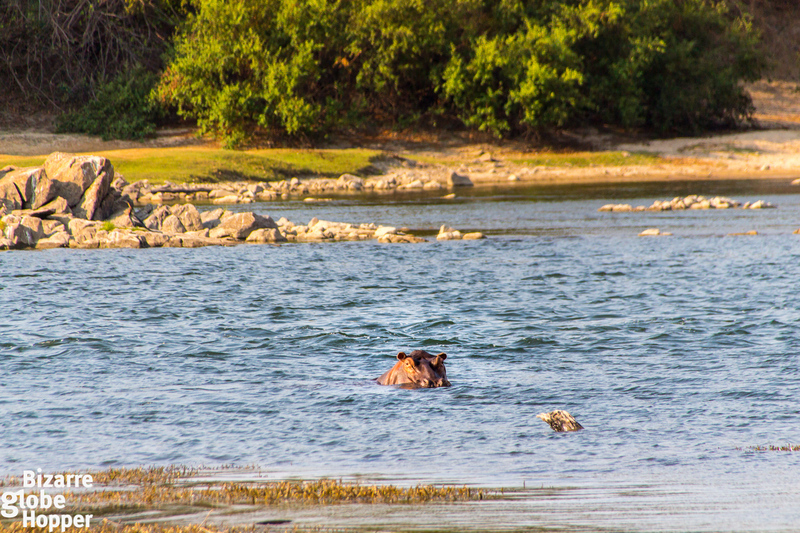 The highlights of your stay in Royal Zambezi are the varied wildlife-watching activities in Lower Zambezi National Park. The best thing: You can choose daily between game drives, fishing, canoe and river safaris, bush walks, and even mountain hikes. Your private guide knows which animals you’ve already seen making every exploration unique. One of the highlights of our trip was the last night’s surprise beach barbecue: we were transported to the deserted beach and pampered with intimate, candle-lit dinner under the stars. That’s what luxurious safari stays are all about. 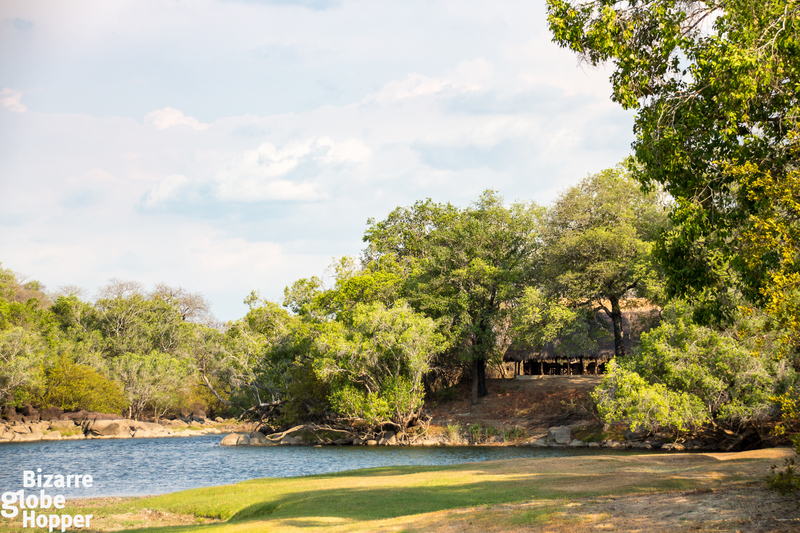 Royal Zambezi was hands down our favorite safari lodge in Zambia. 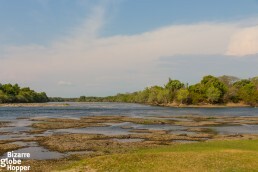 If I’d have to visit just one national park, I’d also pick Lower Zambezi. Wildlife watching is fantastic with the healthy lion, leopard, and hyena populations. Still, it feels like a real wilderness with a bunch of small-scale lodges. We encountered just a couple of other cars during 4-hour game drives. Romantic Luangwa River Camp has just five luxurious chalets facing the Luangwa National Park at the opposite bank of the Luangwa River. Location is excellent for entering the best game viewing areas in the park. The thatched ”bush suites” come with adorable interior and soothing level of privacy. One of the highlights is the elevated bathroom with lavish, sunken bathtub that is designed for two. You can admire your private slice of Luangwa River straight from the bath, bed or terrace. We also visited Robin Pope’s another luxurious safari lodge in South Luangwa National Park, the nearby Nkwali Camp, but Luangwa River Camp won us with a higher level of intimacy. For practical reasons, we also preferred their traditional brick cabins over Nkwali’s open architecture. During the day, we kept the large sliding doors in front of the bedroom and bathroom wide-open but closed them in the evenings keeping living areas pleasantly bug-free. Both Robin Pope properties are visually exquisite examples of the rustically luxurious Zambian safari lodges. Almost every traveler in Zambia visits the epic Victoria Falls, locally known as Mosi-oa-Tunya, the Smoke that Thunders. ”The Seventh Wonder of the World” lies on the border of Zambia and Zimbabwe. 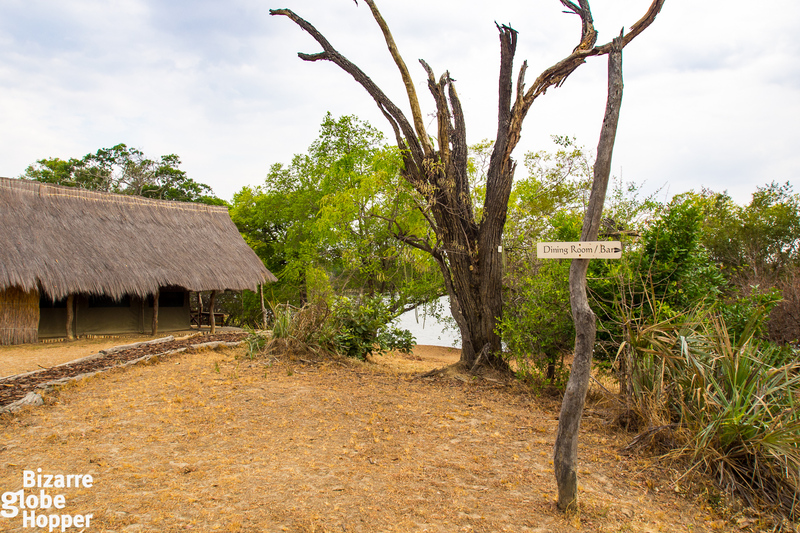 Since the bordering towns on both sides are just dusty transit points, I’d recommend picking a more remote safari lodge, again by the shore of Zambezi River. In Zambia, the clear winner for us was the unique Islands of Siankaba, located between Victoria Falls and Chobe National Park. 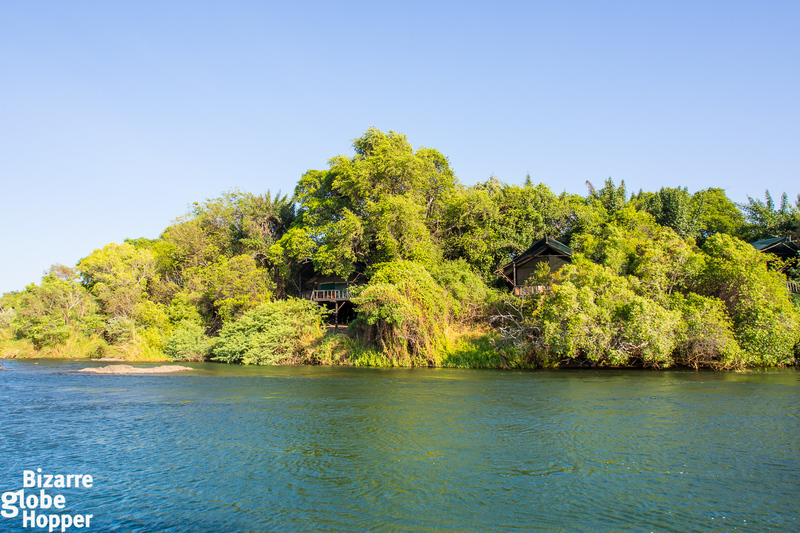 The luxurious safari lodge hides in the middle of Zambezi River, on two private islands. Seven secluded cabins are scattered among the tree canopy and connected with beautiful, hanging walkways. Strolling around the lodge is an adventure in itself! 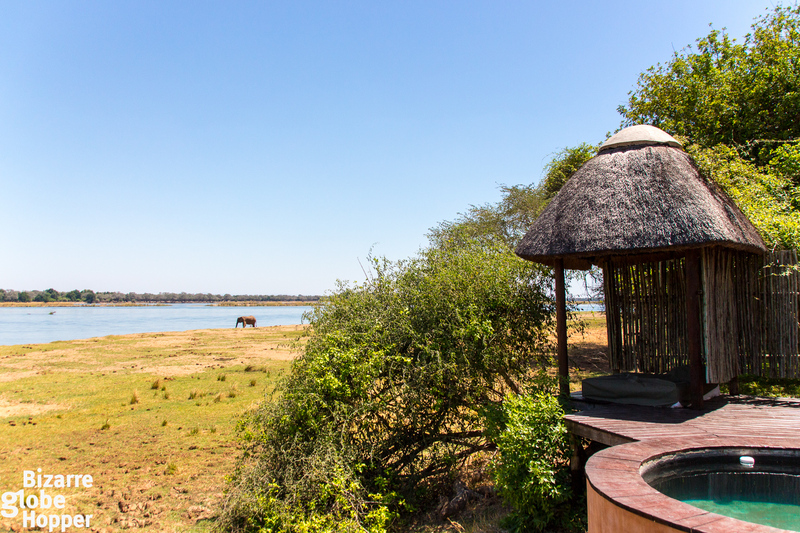 Each suite boasts miraculous views over the Zambezi – straight from the bed or the huge, private terrace. The combination of teak and canvas gives a luxurious feel, still merging the chalets with nature effortlessly. 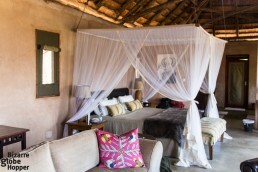 Our safari lodge pick from Kafue National Park represents a little bit different ideology. 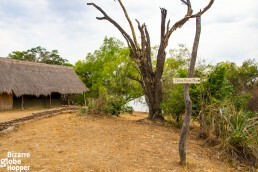 Unlike the top 3 lodges, Mayukuyuku Bush Camp is not a 5-star property. However, the level of service is excellent, as are their guides. The tented camp section is well maintained and homey. 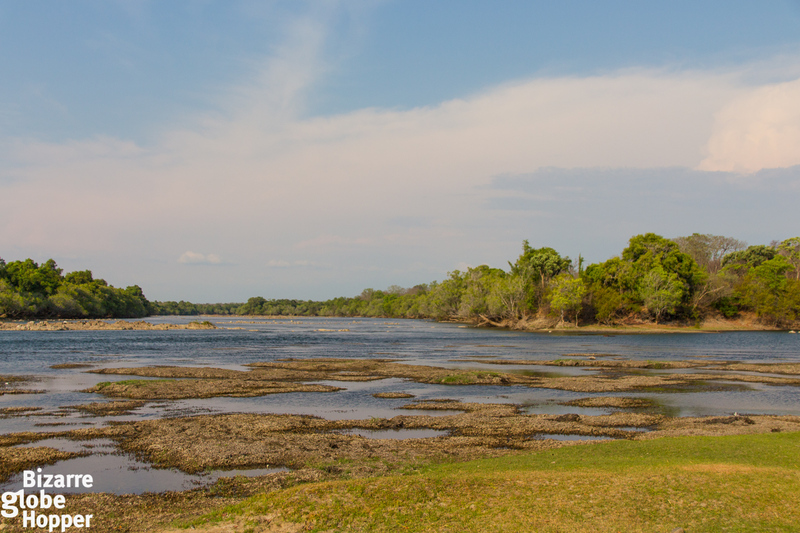 The view to Kafue river is hard to beat, and hippos roam through the lodge during the night. Mayukuyuku Bush Camp has only four tented chalets, which makes the camp feel exclusive. At Mayukuyuku, you can get a taste of the real wilderness and exclusion. Wildlife sightings are excellent just outside the lodge: Mayukuyuku has even designed their own safari trails in cooperation with the Kafue National Park. The trails are virtually empty from other cars, yet it’s easy to find lions and leopards along with the other game. We loved their outdoor showers and atmospheric al fresco dinners. Patrick and Boyd were among the best safari guides we’ve ever had, and we enjoyed their genial company throughout our stay. Have you visited Zambia? What were your favorite lodges? 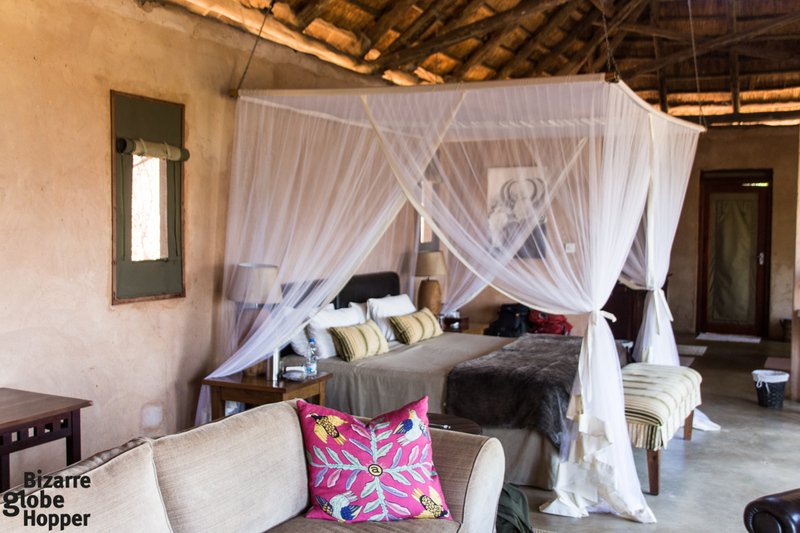 Would you have any further tips for finding the best safari lodges in Zambia? 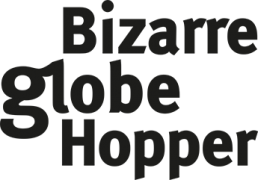 *Disclaimer: Zambian Traveller hosted our tour in Zambia and provided the accommodation in the safari lodges mentioned above but all opinions remain our own. 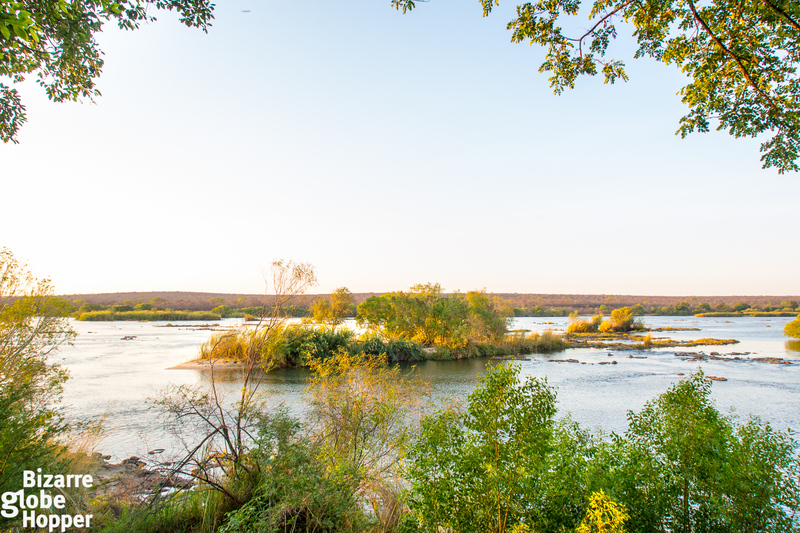 Float silently through a shallow channel in Lower Zambezi National Park, witnessing baboons solving their household issues on the banks, elephants trumpeting, and hippos splashing all around you. Just returned from a 3 nights stay at the Islands of Siankaba… Amazingly breathtaking. Thank you so much for our nomination and also for the great comments everyone has written. Our lodges in Kafue are not all at top price and don’t forget you really do not need spending money whilst on safari as pretty well everything is included in the price so no unexpected surprises. At Mayukuyuku our prices are reasonable. The different parks, lodges and bush camps work well together so a combination of these can easily be arranged over a week or 2 week stay or longer if you have the time! These safaris offer both great game viewing, walking, boat game viewing, fishing but also a chance to relax and really unwind if life is stressful. Zambia is definitely one of the best safari destinations in the world! They look gorgeous. Nice pictures. Great choice. I hope to visit real Africa sometime in future. Thanks for sharing! Wow! These all looking absolutely stunning! I have never been to Africa, but will definitely add these to my list of places to stay when I do! Can’t believe you’ve been to Zambia, Africa is one of those continents that I really need to explore more. So much world, such little time!! I can’t say Africa was ever on my list to visit but after seeing such beautiful pictures I think it should be my next adventure. Oh wow! These lodges look so dreamy! Around how much do they cost? I’d love to go on a safari one day! Thanks for a visit, everyone! 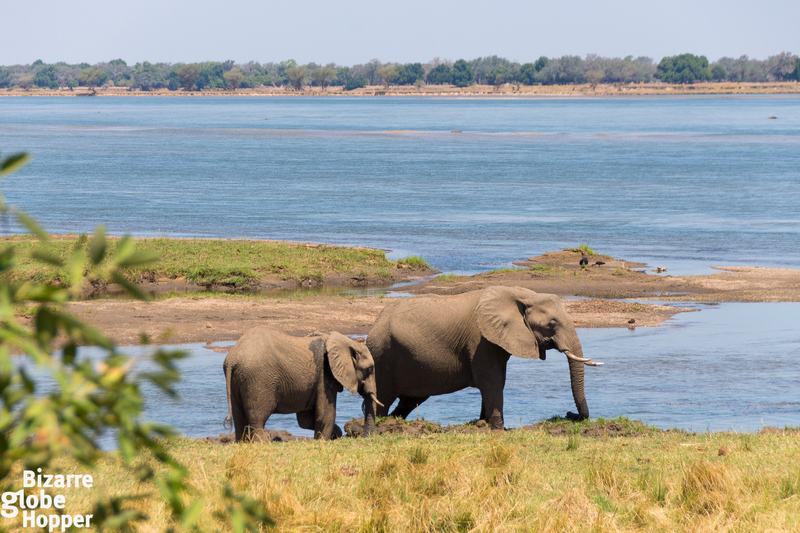 Zambia is an amazing safari destination, one of our favorites. I’d highly recommend venturing there some day, if you are into wildlife! Cynthia, the prices vary a lot between the lodges and from high to low season, so it’s better to ask for a quote. Generally, safaris tend to be pretty pricey, but then again, they’re usually “the trip of a lifetime”. In Zambia, the safari lodge prices usually include everything: full board meals, two daily safaris/other activities and national park fees. These lodges all sound lovely. I think I would choose Robin Pope’s Luangwa River Camp. But would happily stay in any of them. 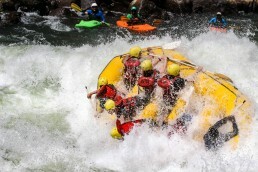 I just spotted a link to your white water rafting video as well and got distracted by that for a few minutes – it looked awesome! You are very brave to do to overcome a fear of water. Go girl! I’ve never been to Zambia, but it looks like such an amazing place. These photos are beautiful, and that second lodge – I could sooo live in that! Oh wow! I would love to have this experience and hope we get to go on a safari in the next 1-2 years so I will keep this in mind. 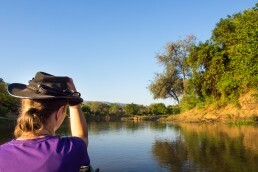 I love a good luxury stay, so I would definitely check out Royal Zambezi. Although they all look and sound wonderful! Hello, Chantell! 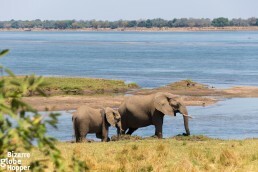 Zambia is a lovely safari destination, go for it! Wildlife encounters feel much more intimate than in “more popular” safari countries and these luxury lodges know how to spoil you. Royal Zambezi is among the best lodges we’ve ever stayed; we loved the ambiance they’ve created. Every moment there felt blessed. 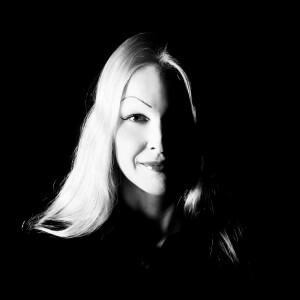 Hi, Rosi! 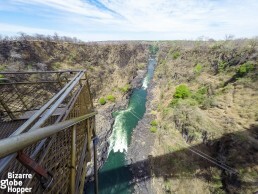 You’ll love Zambia, for sure! It’s such a versatile and beautiful country that we yearn to return soon! We toured the country for 16 days with a tight schedule, aiming to squeeze in as much as we could. Still we left with a feeling that we’ve just seen a scratch. Where are you heading in Zambia? Feel free to email us if you’d like to have any tips. oh my goodness elephants! wow these places look amazing. great photos! Hello, Naomi and Carmelisse! Thanks for stopping by. I left pieces of my heart to these pristine national parks. We could hear hippos, elephants, and other wildlife straight from the bed. 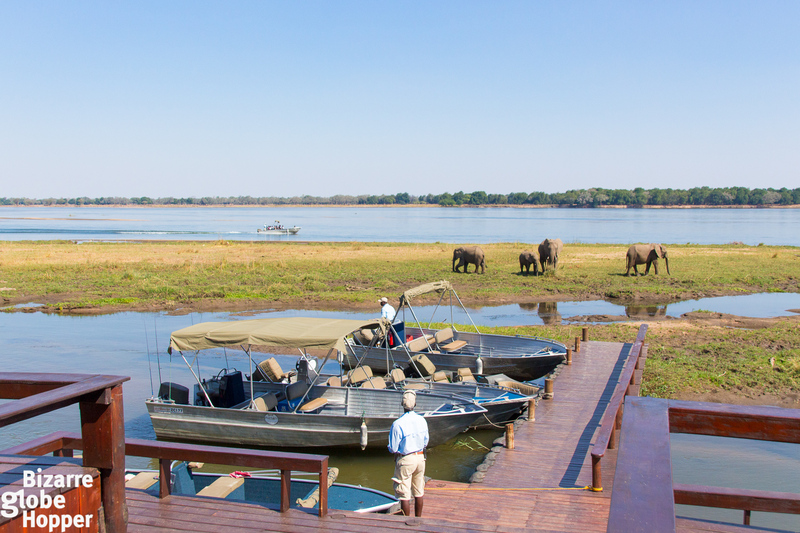 Elephants crossed the grounds of Royal Zambezi daily, and hippos tramped past our tent every night in Mayukuyuku. 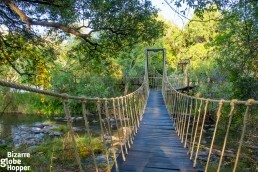 You’d love Zambia, it’s an amazing safari destination and feels so secluded. They all look like a wonderful night sleep and an amazing adventure.